‘The more things change, the more they remain the same’ is a French quip which applies perfectly to what we’re seeing yet again in our media, now campaigning a l’outrance for Ms May. The self-proclaimed elite is at it yet again, the establishment types thinking they have the God-given right to govern and interfere in people’s lives because they are so very clever and we are not. I’ve been puzzled for a long time how come that we in the UK have such a tradition of ‘progressive’ critics, well before the international movement of socialists, well before the founding of the Fabian Society, the Labour Party, and the now proliferation NGOs from ‘Hate not Hope’ to ‘No Borders’ and well before social media and hashtag politics. 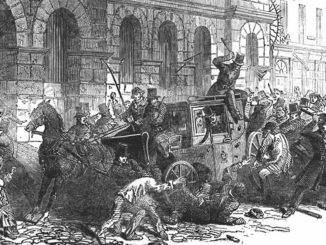 I have come to the conclusion that the prolific, ‘progressive’, 19th century letter writers in British politics and High Society are to blame. Plus ça change indeed …! Today, technology in the form of TV programmes with the popularisation of ‘experts’ plays a huge role. The ‘experts’ are generally chosen because they don’t challenge the opinion of the group thinkers in our media. Just look at ‘climate change’ and the reporting thereof; or look at the free hand given in the MSM to Blair and the ‘heir to Blair’; look at the way the MSM now try to foist on us the ‘heir to the heir to Blair’ in the form of Ms May. Blair’s ‘education’ project has created easily governed functional imbeciles who cannot read something that is longer than 140 characters, who cannot remember back further than last week, and who have no knowledge of the geography, never mind history, of the country they live in, never mind knowledge of the rest of the world. That sort of imbecility has entered academe where feelings and ‘safe spaces’ are all that matters. Lecturers, professors even, no longer need to ask inconvenient, critical and self-critical questions about the subject they study or the way they study it. A right-on attitude is all that’s needed because that’ll get one on telly and thus acquire academic kudos. That sort of imbecility has incensed me ever since Climate Gate, and the last straw was last year, as far as I was concerned, when in the run-up to the Bi-Centenary of Waterloo the one person who actually did win that battle was either brushed out of the picture or belittled even in our own MSM. 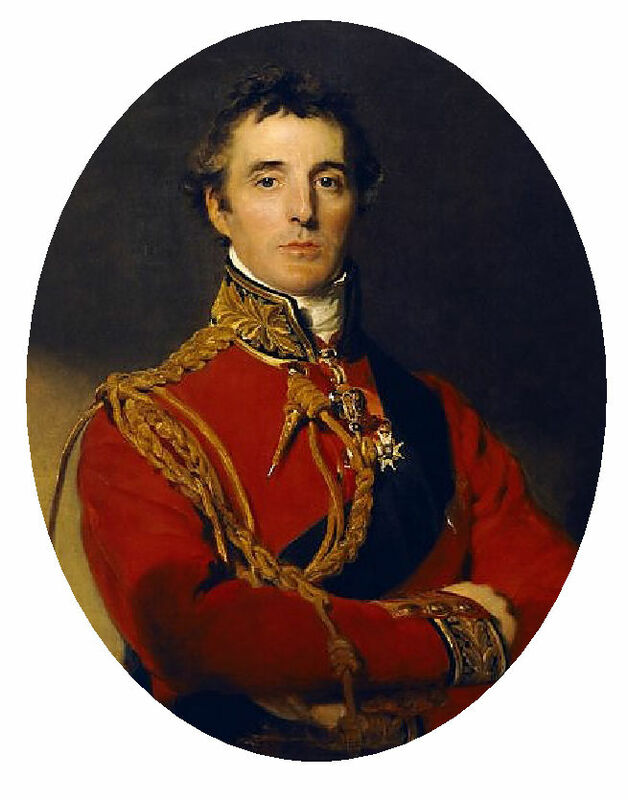 The critique of the bien-pensants of Quislinton reached from ‘he was horrid to his wife’(ye gods – he had to fight that insignificant little war called the Peninsular War which went on for a few insignificant years and thus wasn’t home to play hubby to wifey!) to ‘he was a horrible Tory politician’, therefore everything he achieved must have been horrible in retrospect. But – how did our Quislingtonians know all that? This is where the letter writers, the equivalent of our hashtag and e-mail writers, come in. The opposition to the various PMs supporting the Peninsular war and all that came after, right up to the Congress of Vienna and Waterloo, were prolific letter writers – writing to each other and to the newspapers. There were even quite a few of them in the Peninsular Army who criticised everything in their letters home. Of course, as ensigns or lieutenants or even captains and majors, they knew far far better how things really should’ve been done – if only they were in command …! It’s these letters which have been preserved and are used by the progressive historians to ‘rectify’ our understanding. The letters and dispatches of the Great Man himself don’t matter. The above may look like a digression, but it isn’t: this sort of thing is going on right in front of our eyes – again. From the way Mrs Thatcher has been vilified for decades by giving platforms to her critics but never to her own words; from the way Nigel Farage has been vilified over the years right unto the victory for Leave; right up to the latest attacks on Andrea Leadsom, based on something she didn’t say – it is all of the same cloth: conservatism must be pictured as utter vileness, must be trampled upon, must be defeated. It does not matter one iota that there are many people – 17 million at the last count – who disagree. In the eyes of the establishment, they are the stupid peasants who must be disregarded, must be belittled and stamped upon if they cannot be converted to the lefty progressivism. It is high time that we take back our history and stand up to those Quislingtonians, be they the hashtag, safe space snowflakes or their elders in academe, the media or the corridors of Whitehall. It is high time to turn their weapons of choice against them, as so many here on GP already do!